Leadership Spokane just released their list of this year's graduates, this is their 35th class. Tom Black - Budinger & Associates, Inc.
Paul Crooks - Sterling International, Inc.
Mike Diedesch - Avista Corp.
Julie Gehlen - Spring Environmental, Inc.
Heather Hamlin - Greater Spokane, Inc.
Lisa Shier - Lydig Construction, Inc.
Brian Valliant - Baker Construction and Development, Inc.
James Welsh Jr - Garco Construction, Inc. 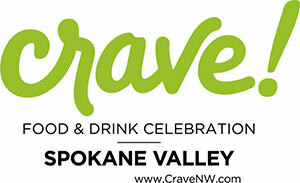 Rave reviews are coming in after the first night of Crave NW, the unique culinary event this weekend at Spokane Valley's Center Place Event Center. Attendees are excited about the quality and excellence that Crave has to offer. "'Fabulous! ", "I had no idea what to expect and I was blown away! ", "What a classy event." Just a few comments from last night. Crave Northwest showcases visionary chefs from around the region and the country, including nationally renowned celebrity chef Rick Moonen. Multiple events tonight and throughout the weekend feature a lot of fabulous food, wine parings and great ideas. If you are a foodie or just enjoy great food and wine, don't miss this exceptional event. For tickets and the complete schedule of events, visit cravenw.com. This Saturday, June 17 from noon-4pm, the Morning Star Boys' Ranch at 4511 South Glenrose Road, will have an open house and Kids Carnival. This event is free and open to the public. Lots of kids activities will be going on including Star Wars characters, jumbo bouncing castle, obstacle course, giant slide, face painting, balloon artists, Fire District 8 fire truck and firemen and much more. This is a rain or shine event. In the event of rain, everything will be inside at the gymnasium. There will be a live radio broadcast with 105.7 FM, and free hot dogs and drinks. For more information contact Don Ciavola at 509-448-1202 ext. 214.